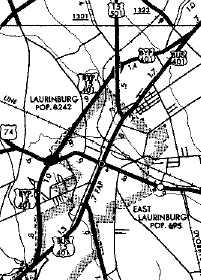 The 1st US 401 Business was created in 1960 as a renumbering of US 401-A through Laurinburg. No changes since. 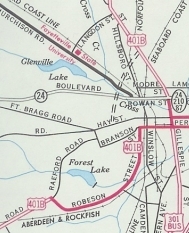 The 2nd US 401 Business created in 1962 running through Raeford. This was an upgrade to secondary routing, although this had been mainline US 15-A into the mid-1950s. No changes since. 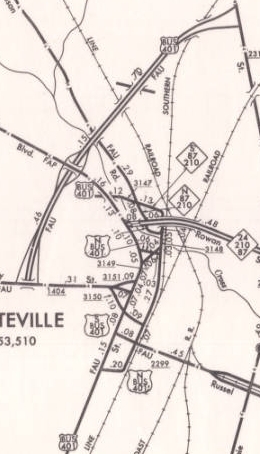 The 3rd US 401 Business was created in Nov 1967 (NCDOT) as a renumbering of US 401 through Fayetteville. 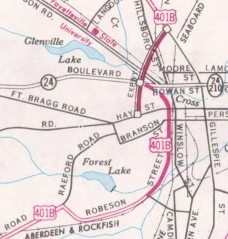 In Jan 1975 (NCDOT), US 401 Business was removed from Russell St between Robeson and Gillespie St and from there north on Ramsey St. to the CBD loop. 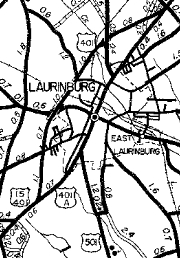 Instead, US 401 Business followed Bragg Rd to the new CDB freeway east back to Ramsey Rd. 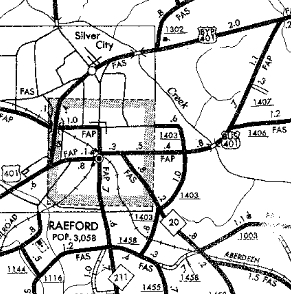 In July 1976 (NCDOT), US 401 Business was placed on one-way splits: SB had no changes, using Robeson and Bragg Blvd. 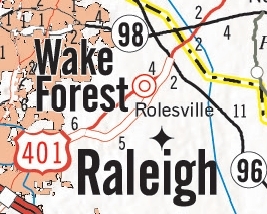 NB left Robeson St on the Rankin Cross Link, then north on Winslow St/Hillsboro St to Walter St west to Bragg Blvd. 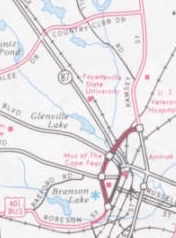 About 1993, US 401 Business was rerouted onto new freeway from Robeson St connecting to the previous freeway 401 Business was using. 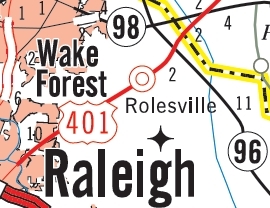 The 4th US 401 Business was created July 2015 (TM post), when US 401 was placed on a newly constructed bypass around the east of Rolesville.